Horse vision is tuned to notice predator-like motion in the distance. Realizing that a horse is a prey animal and a grazing eater that survived for millions of years in the wild, it stands to reason that a horse's senses are more highly developed and more nuanced than those of a human. As a grazing prey animal, good eyesight and a wide range of vision, exceptional hearing, the ability to discern the slightest odor of a predator on the breeze, and the ability to discern the edibility of a plant by a touch of the muzzle could mean the difference between life and death in the wilds. Sight is probably the most important of the equine senses. With eyes on the side of its head, the horse can see almost all around, although a blind zone exists behind it and a little in front of its head. Because of the blind spots, it is important not to approach a horse from the rear unless the horse knows you are there, and, also, it is important to approach a horse at an angle when approaching from the front. Although no one knows just how far horses can see, they are known to be able to distinguish patterns at least a hundred yards away and can perceive depth quite well. People who have studied horse's eyes and the way they see tell us that the upper and lower extremes of the horse's eye are for distance vision and the center of the eye focuses on near objects. Horses have much better night vision than do humans. Researchers also are certain that horses can see colors, but haven't been able to discover whether horses see a full spectrum of colors. Because of the way the horse's eyes are placed on its head, horses need to keep their heads low to focus on objects close beside them. If they are not allowed to keep their heads low and tilt them sideways, they often compensate by skipping sideways to see the object better which may be seen as spooking or shying by an inexperienced rider. When the rider punishes the horse for a perfectly natural action, the problem is compounded. 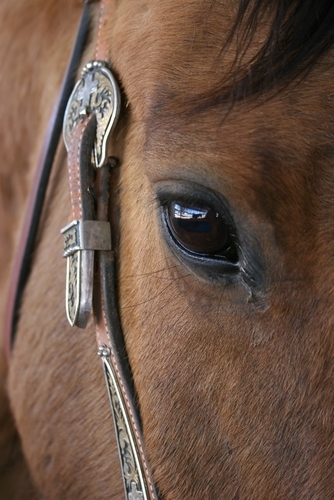 Understanding how a horse's eyes work can save frustration and conflict between horse and rider or handler. Perked ears signal alert. Watch your horse's ears for signs of attitude. An animal that survives by getting a head start on predators necessarily develops a keen sense of hearing. Horses ears are funnel shaped and very mobile. Just watch as horse as it reacts to sounds all around. The ear, acting as a funnel for capturing sound and sending it down into the ear canal, swivels and seems to reach toward the sound. This ability to perceive and process sound quickly and efficiently serves the horse well, although loud, unfamiliar noises can send a horse into flight or a combative attitude if it feels threatened. 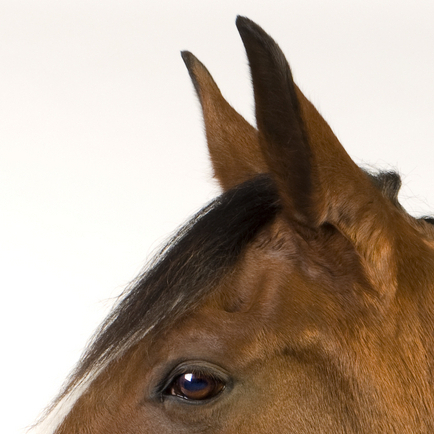 Different positions of the ears reveal where the horses's attention is directed and can enable the observer to determine the general attitude of the horse. If the ears are pricked forward, the horse is giving extreme attention in that direction. Ears to the side show the attention to be in that direction. Ears flat back usually show anger or fear, while both ears drooping show relaxation and drowsiness. Amazingly, a soft gentle voice that is calm and confident can work wonders with gaining the cooperation of a horse. With their keen sense of hearing, horse's respond well to the sound of the human voice. Keep this idea in mind always and especially when you and your horse are in a noisy or frightening environment. Horse's greet one another by touching noses and smelling each other's breath. Horses have a very acute sense of smell and use it to interpret their world in ways that are far beyond the capabilities of a human. A horse can literally smell danger. The slightest breeze bringing a dangerous scent puts a horse into a flight mode. Tails go high as a signal and the horses are off and running in a flash. 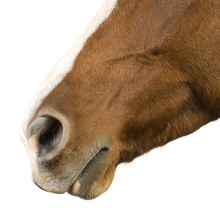 Horses also relate to their immediate environment through their sense of smell. They greet each other nose to nose and recognize each other by scent and by sight. Mares and foals immediately learn each others scents and can find each other quickly in a crowd of horses. Horses come to recognize people in the same way. Notice that recognition when you approach a horse; the horse reaches out its muzzle to take in your scent by sniffing you. As with other animals, extending the back of your hand is a good way to let the horse get to know and trust you, and accept your presence as a herd mate and not a predator. The horse's sense of smell contributes to its eating habits and horses often determine that a plant is going to taste good and be edible by smelling it before attempting to eat it. This keen sense of smell helps a horse go for the tastiest bits of hay and adds enjoyment to the eating of grains and other feed. 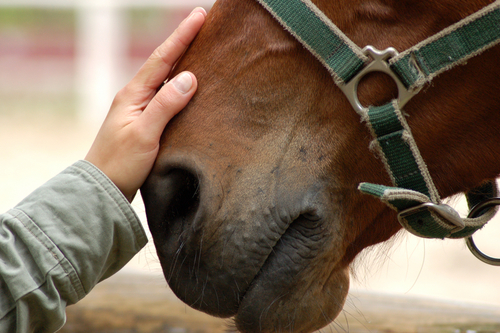 A gentle touch tells the horse that you mean it no harm. The equine also takes in and learns more about its environment through its mouth and muzzle as it explores new or different places and people. A mare will reassure her foal with a brush of the muzzle. 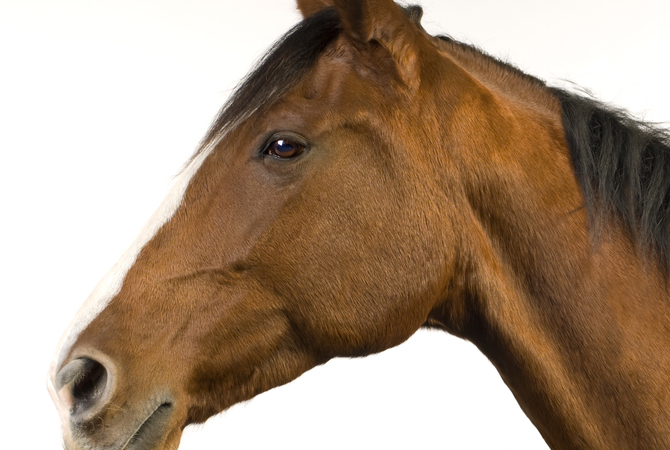 Horses communicate and scratch each others' itches with their teeth. Not only are the mouth and muzzle important to the horse's sense of touch, but the skin is also. Although horse skin is believed to be tough, it has many nerve endings and can sense the tiniest fly landing on the horse's rump. An astute horse owner knows the value of a pat on the horse's shoulder or a vigorous message over a tense muscle. Your touch tells your horse, "Hey, I'm your friend," and, in many cases, the horse will return the compliment with a touch or a look that speaks volumes. Yes, a horse's senses are a determining factor in their behavior. Knowing the significance of your horse's senses and how they work in relationship to their environment will enable you to be a better keeper of your horse.